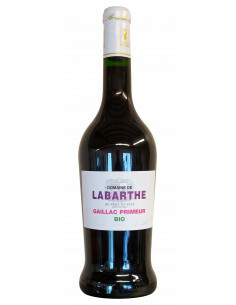 Red wine Gaillac IGP Prunelart of character delivers a typical ensemble, with a very dark and purplish color, notes of ripe fruit (plum, prune, raspberry) lined with flowery notes (violet, peony). Mouth harmonious carried by notes of red fruits liquorice, fat to ample, beautiful material with coated tannins. Beautiful aromatic expression. bank of the river Tarn. 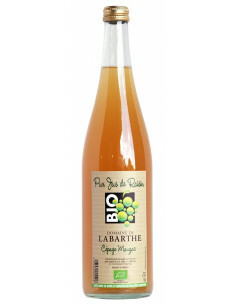 « Prunelart » is a native grape from Gaillac. It was grown a lot in the past. In the 16th century, Olivier de Serres, nicknamed « the father of the integrated Farming », said : « it gives one of the best wines of the Kingdom ». Unfortunately, this grape disappeared during the Philoxera epidemic. In fact, it’s a difficult grape to manage especially because of its very small & tight berries. Nowadays, there are around 10 hectares of Prunelart in France, mostly in the Gaillacois. Destalked and macerated for 3 weeks. Nice deep purple hue, almost black. Very complex nose with black and red fruits notes (prunes, plums, raspberries) as well as flower aromas (peony and violets). The palate is rich and well-structured with red fruits and liquorice flavours. To be served from 16°C to 18°C with red meat. This is a wine to keep (from 8 to 10 years).